Every so often a truly extraordinary book comes along. Many of the books these days are trying to ride the coat tails of The Da Vinci Code. Not this one. It was first published in August of 2000 with this title, long before The Da Vinci Code. The coincidence won't hurt however. Unlike The Da Vinci Code, The Shakespeare Code actually centers around real codes and ciphers created by one of the greatest minds of the 17th century or any other century for that matter. Many of you have already guessed of whom I am speaking especially if you have looked at the cover closely. But let me digress for a moment. The author of the Shakespeare plays imbedded his true story out of necessity. Ciphers arose out of fear from retribution from either a tyrannical ruler or an overbearing dogmatic Church. This very same author spent a life time endeavoring to pull civilization, kicking and screaming, out from the dark ages. His goal was freedom in all its manisfestationsexploration, science, culture and religion. There was an inherent risk that was unavoidabletoo much freedom. We are now over loaded with an excess of information and sensory input. To reach an audience with a message that is considered unimaginable by many, is difficult. Virginia Fellows did a magnificent job writing this book. It took her thirty years of research. She started it very late in life. Perhaps because she was getting on in years (she passed away in the fall of 2005), she omitted one crucial element to the story: a good explanation of how the various ciphers work, but most especially, the cipher wheel. The fact that it was a self-published book with numerous errors and bland cover did not help. The very freedoms that her subject fought to bring about, threatened to bury her book in obscurity. The publishers of this new edition have rescued this work and have created a book worthy of any best seller list. They added a chapter at the end of the book dealing strictly with ciphers. An excellent cover as well as many illustrations were added. Additional corrobative sources were sought and all the grammatical errors corrected. Three hundred and eighty years after his death, the true story of Sir Francis Bacon is finally ready to be disseminated throughout the world. "In November 1623, the First Folio of the plays of William Shakespeare was published. The Folio is one of the most closely studied works of English literature, yet it raises many unanswered questions. In October 1623, a month earlier, Francis Bacon, one of the leading figures of the English Renaissance, published a book containing a complete description of a new and ingenious system of concealing messages in code. Is it just a coincidence that these two books were published one month apart? In fact, the code that Bacon described unlocks many of the mysteries of the First Folio. 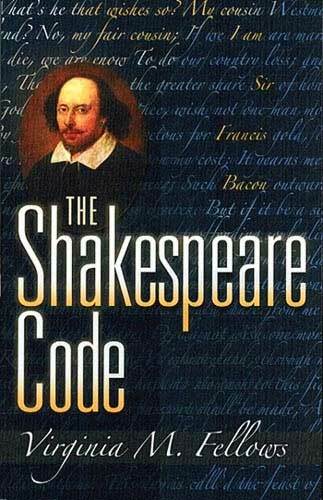 The key to the Shakespeare code was embedded in a book that was widely circulated in his time and to the present. Yet it was more than 250 years before anyone realized that Bacon's writings on ciphers were not just theoretical, but they were describing his method for recording a secret history of his times. 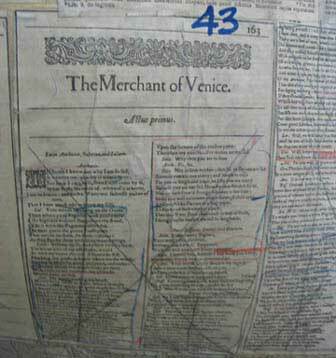 Francis Bacon used this and other codes to conceal his work in books published under his own name and under the names of Shakespeare, Spenser, Marlowe and others of the time. The hidden messages tell a startling story. They reveal state secrets and scandalsthe marriage of a "Virgin Queen," murder and intrigue, corruption and lies at the highest levels of the government. And they also tell the personal life story of Francis Bacon himself. These stories could not be safely told in Bacon's own daymore than one person was severely punished for daring to speak these truths. So Bacon concealed them in code, hoping for a future time when they could be discovered and a day when men could be free to speak and to know the truth. The codes and the secrets they contain were discovered in the late 1800s. ... This book is an account not so much of the intricacies of ciphers and the detective work of those who discovered them, but of the hidden story itself. It does fill in details of history but, more importantly, it sets the record straight about Francis Bacon, one of the most remarkable men the world has seen. ..."
There have been others who have paved the way for this story, namely Ignatius Donnelly, Elizabeth Wells Gallup and Alfred Dodd; but it took a young physician from Detroit at the end of the 19th century, Dr. Orville Owen, to come up with the definitive device for cracking the code. Virginia Fellows was able to track down the original invention of Dr. Owen. The one who possessed this cipher wheel then gave it to her. Dr. Orville Owen's cipher wheel: This illustration, from Dr. Owen's original publication of the cipher story, shows the cipher wheel set up as he used it in his workshop. As he read passages from the wheel, his assistant would type them. The sheets would then be sorted according to the key-words typed at the top of each page. Illustration and description from p. 14 of The Shakespeare Code "Used by permission of Snow Mountain Press"
Francis Bacon used several types of ciphers, some even explained how to use other types of ciphers which told the broader history of his life. Dr. Owen discovered the most important of codes: "word ciphers." Through the use of the cipher wheel above, key words are found that include whole sentences on either side of the word. These various passages are then joined, unveiling the secrets of Bacon's life. The publishers, Snow Mountain Press, recently unraveled the cipher wheel to get a closer look. 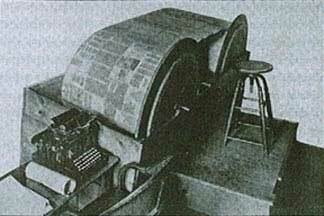 "Used by permission of Snow Mountain Press"
I did not see the two wheels and the operation of the cipher wheel but I have seen the scroll itself, coiled, standing vertical at eye level. I had the feeling of standing before some immense Tibetan prayer wheel filled with wonderful secretsprayers from the heart of Bacon himself that he hoped would one day fly across The Globe. Looking at those old, brown pages on faded cloth, I was tempted to give the wound up scroll a spin to help them along. This review will be my spin instead. I could see for myself the marvelous scribblings of Dr. Owen as he underlined, highlighted and crossed out words and passages from the copies of original texts as Bacon had written them. Closeup of Dr. Owen's marks on one row of pages. 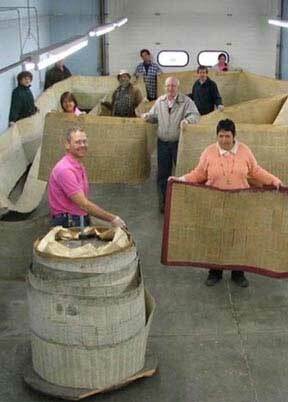 Four rows of pages stretch across a thousand feet of linen-like material. "Used by permission of Snow Mountain Press"
"The cipher reveals the fact that all the works of William Shakespeare, Robert Greene, George Peel, Christopher Marlowe's stage plays, the "Fairy Queen," "Shepherd's Calendar"; and all the works of Edmund Spenser; the "Anatomy of Melancholy" of Burton; Bacon's "History of Henry VII," the "Natural History," the "Interpretation of Nature," the "Great Instauration," the "Advancement of Learning," the "De Augmentis," "Essays," and all his other works were actually written by Sir Francis Bacon only, he using the other names as masks to conceal his own identity...."
The Shakespeare Code is not a dry, laborious explanation of ciphers but of the fascinating story of Bacon himself. You might think you have had a difficult life at times. Wait till you see what Bacon had to go through. His greatest degradations often times came from his own motherthe queen. It's a tale of trials, intrigue and testings that has largely been kept secret until now. Ultimately it is a story of supreme hope and inspiration. Despite all the attacks and opposition, no other living person has done more to elevate mankind since the time of Jesus Christ, than the soul of Francis Bacon. It's time for the rest of the story to be told. Make sure you buy or read the one to the left. Here are some books for further reading. I highly recommend Alfred Dodd's book. He was a mason and fills in the esoteric spiritual side of Francis Bacon that may be lacking in other books. Much has been written about the Templars, Masons and Rosicrucians lately. 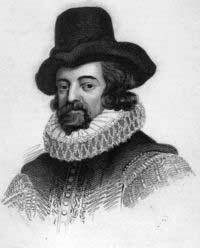 Francis Bacon is the missing link all are searching for. If I could change one thing in The Shakespeare Code it would be this; if the full story deciphered by Dr. Owen isn't too long then I would have put it at the end of the book, maybe in smaller print. By chopping up the story as the author did, you kind of wonder what you're missing. The story is so good, you want it all. Fortunately it is available. Kessinger Publications did a reprint of this one as well. Since there are two books, Part I and Part II, maybe it is too long. Bacon led such a full life, it must be a long story. If that is the case, then an abbreviated version with the highlights would have been a most excellent addition to The Shakespeare Code. Note: All the books with yellow covers are Kessinger Publications. They provide a valuable service by publishing books that are nearly impossible to find. But buyer beware, they are photostats or copies. The quality is often times poor. Pictures are usually barely discernible.